We agree that money is not everything. There is so much more to life, and the dollars do not need to be the center focus. Nevertheless, money cannot buy you love, but it will buy the groceries. Many people need to have a better understanding of how to handle their money. Their overall financial wellness depends on learning more about finances. Some issues are not the result of compulsive buying. Often people do not understand elementary things such as how to budget. Being familiar with refinancing or knowing what a credit report means results in a fair amount of confusion. People will spend money the wrong way and pay a price for it when the bills come in the mail. Countrywide Pre-Paid Legal Services respects the importance of educating people. We have a financial wellness program that includes financial education. This is not a course in macroeconomics, so don’t be afraid of what is offered. Countrywide believes that common sense knowledge of basic things such as saving for household emergencies is going to help. Our financial education also includes discussions of how to reestablish your credit, working with collection agencies, and refinancing the house. These are topics that a person deals with on a daily basis. 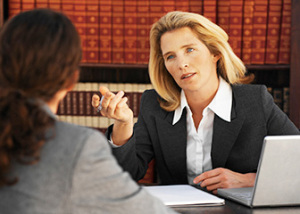 Bankruptcy can be a very traumatic issue if a person does not know how to address it. Countrywide has certified counselors are available to guide a person through the issue. Any employer is going to benefit from offered a financial wellness program. Some employees may be coming close to retirement, and Countrywide provides information about resources seniors can use. Our program financial wellness plan can be part of an overall preretirement program. Millennials may still be struggling with the idea of independent living and budgets. We can show these new employees allocate the money appropriately. Sadly, mortgage payments may be financially drowning a few highly productive employees. Foreclosure prevention is a topic our counselors will cover with a plan member. The significance of offering this kind of help is the ability to create loyalty in the workforce. Employees what benefits they can use in their daily lives. Financial wellness is a serious issue, and being able to access educational material and advice is sincerely appreciated. It shows that an organization is not just interested in key performance indicators. Indeed, this kind of support lets good employees know that management is thinking about them. Employers are always interested in getting a good return on investment. Countrywide does not believe in boilerplate plans with a take it or leave it orientation. We want our clients to be able to choose what benefit options will be part of their financial wellness program. Consequently, we promote choice. Decision-makers are allowed to take a look at all the benefit options we provide. They decide what is going to be in the final plan document. It allows for a better alignment of benefits with employee demographics. Countrywide will see to it that these benefits are efficiently administered. Our process is streamlined so that employees receive what they need as soon as possible. We have a nationwide network of certified counselors and getting contact with one close by is not a problem. All of our counselors are expected to give priority to a plan member. Being able to handle money properly relieves a lot of anxiety. Employees can concentrate more on doing their jobs and not worry about domestic finances. Our benefit is something that will be used, and we know it will offer the right kind of help. You may some questions about our program, and we would like to be able to answer. Please do feel free to contact us at your earliest convenience.